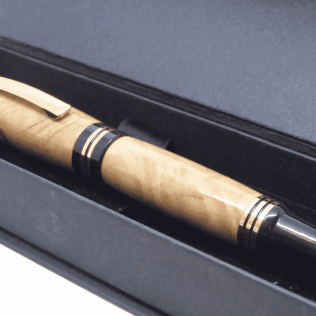 A luxury fountain pen handcrafted on a lathe in my own UK workshop. 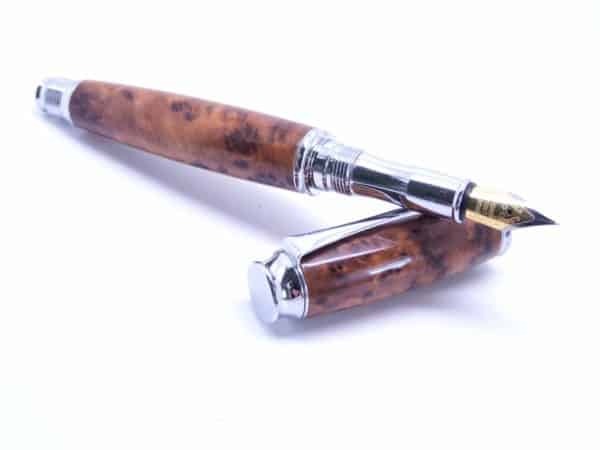 The burl wood pen has a high-quality chrome-plated trim with a premium gold-plated medium point nib. Supplied ready to use with one ink cartridge and a piston pump for bottled ink. 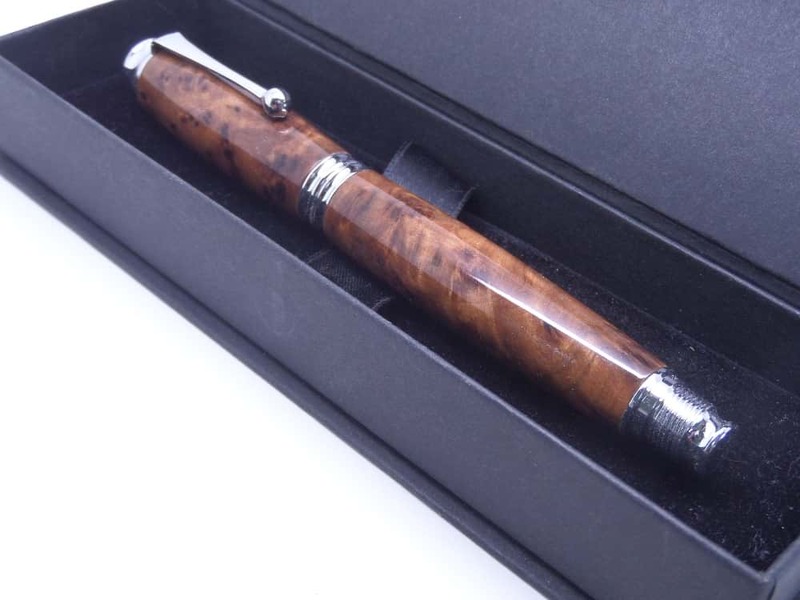 The pen barrels are hand turned with a unique piece of Thuya burl found in north-western Africa’s Atlas mountain range. Many people say fountain pens are the best fine writing instruments. 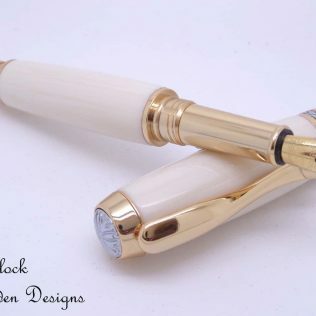 With this beautiful fountain pen, you will have a beautiful and eye-catching pen perfect for smooth writing. 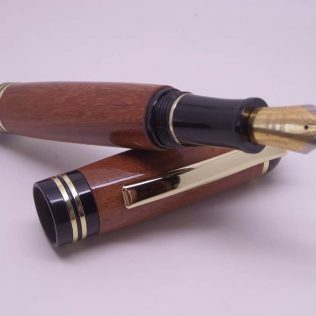 All my wood fountain pens have up to eight coatings of super glue for a high gloss hard, durable finish to protect the pen. 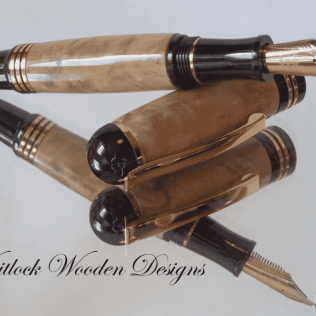 Finishing these wooden pens takes time and skill hence my prices, other pens may have wax or friction polish as a finish. 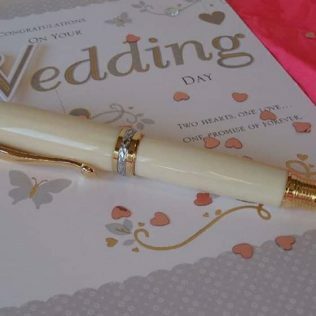 Wax will not give any long-term protection to the pen if they are even used. 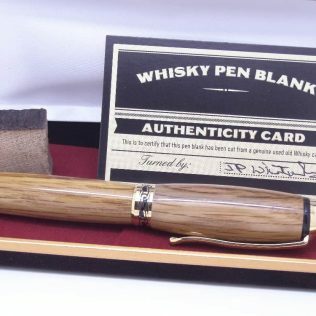 All my wood fountain pen gifts come in a presentation box as the standard. 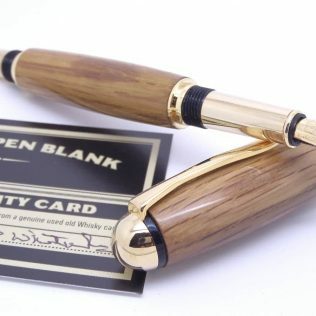 With all wood different these pens make unusual wooden gifts for a 5th wedding anniversary or Birthday gifts for him.